Walk five minutes from your student accommodation to University of Huddersfield. Spend Saturdays strolling 15 minutes into town to shop on New Street, flick through vintage shirts at the Open Market in Brook Street or kick back with a coffee at Epicure. There’s beautiful heritage buildings to admire, huge country parks and woods and plenty of pubs and bars serving craft beer and ale. Or hop on a train to Leeds or Manchester to explore. 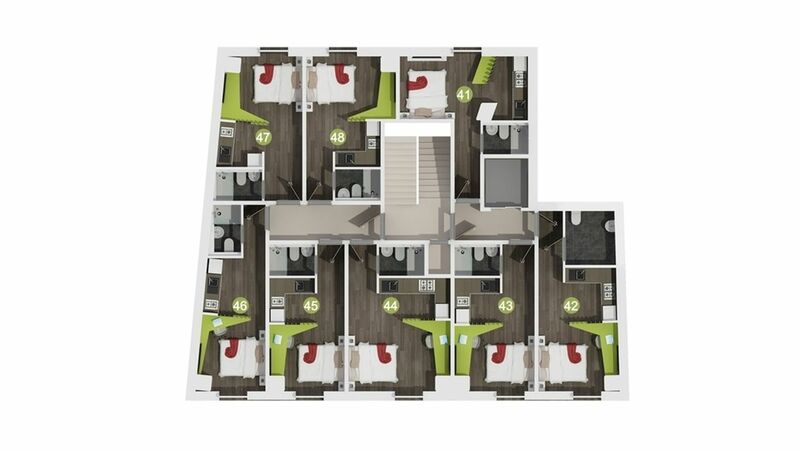 Create a home away from home in the perfect Huddersfield University accommodation. Get set up to study in a studio apartment with everything you’ll need in one well-designed and decorated space. 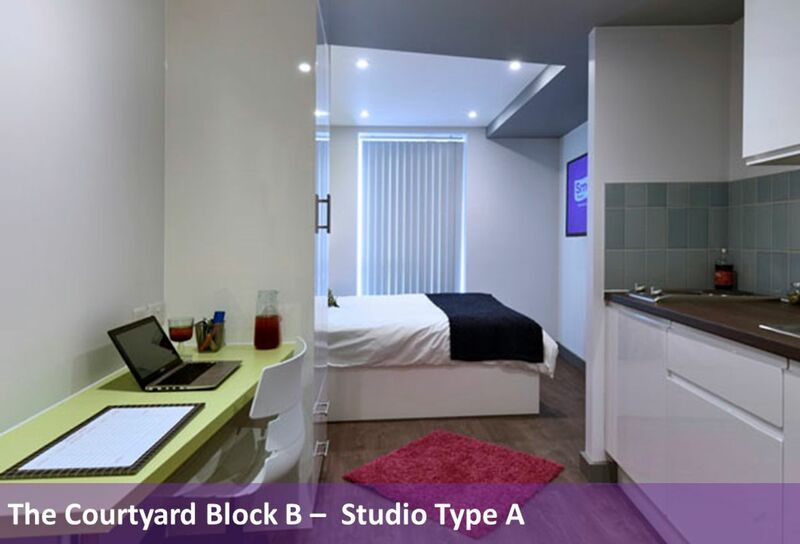 Sit at the large desk to study, take a shower in the ensuite bathroom or make cups of coffee in the kitchenette where you’ll find a microwave, hob and fridge freezer. 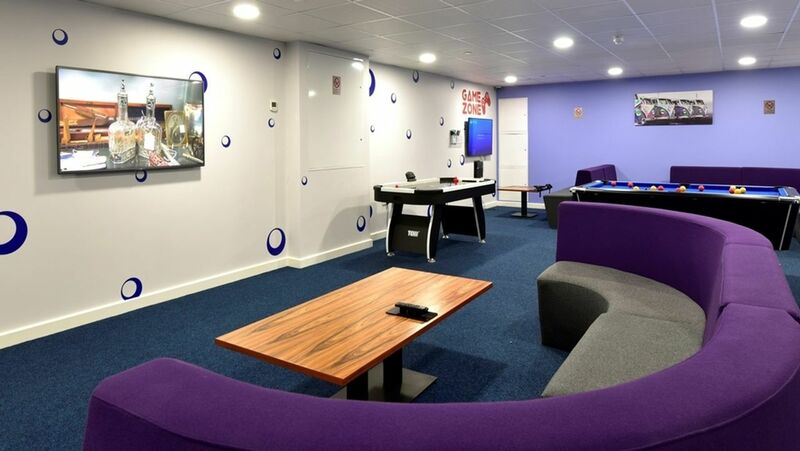 Take a well earned break from assignments and head out to the chill out area to chat to friends, watch a film or play air hockey. There’s comfy couches for gaming as well as plenty of space to play a game of pool. Use the laundry in the building when you need to get through your washing pile. Store your bike securely and don’t give a second thought to safety with CCTV, intercom entry and secure locks. Settling your bills each month is simple with all inclusive rent. Book Now & Get a Free Bedding Pack! Book Now & Get a Free Bedding Pack!Book your room now and receive a Free Bedding Pack! Half Price Summer Stay!Book your room for 19/20 and save 50% on your summer stay! We couldn't find a room that matches your preferencesView all Entire Place in The Courtyard Block B. 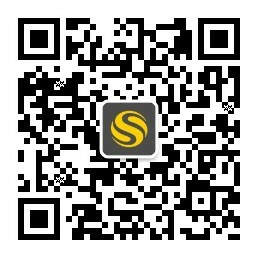 Students are free to cancel up until 01 August and the rent money will be refunded.